Tisiola Lear is a wholehearted life coach who works with women to embrace their potential and finesse the art of self-love and acceptance. 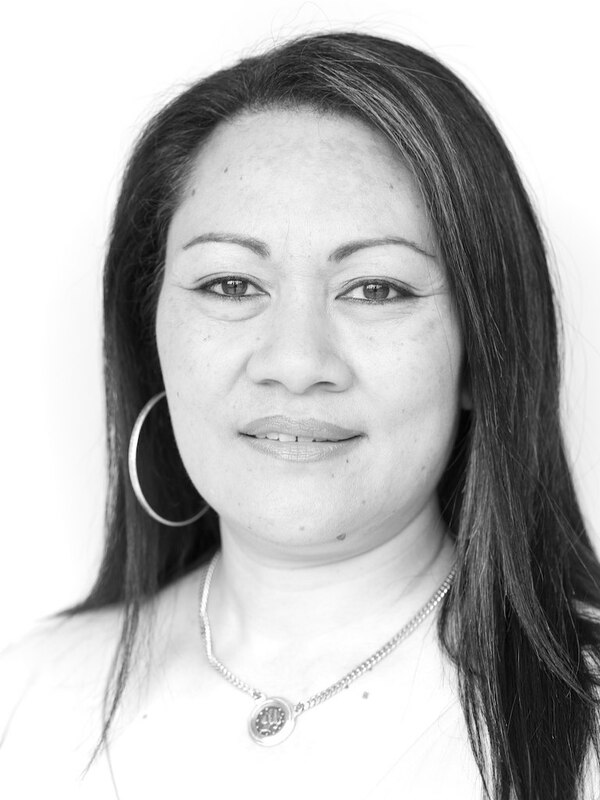 When she migrated from her native Tonga to Australia in 1984, she didn’t expect to have a series of intense, transformative experiences that have connected her with oneness and permeated her very being. Her spiritual journey has led her to love in all of its human and transcendental glory. I spoke with her on a brisk afternoon in Bowral. Jess: Can you tell me a little bit about where you were born, how you grew up, and all of the things that have happened in between that have led you to here today? 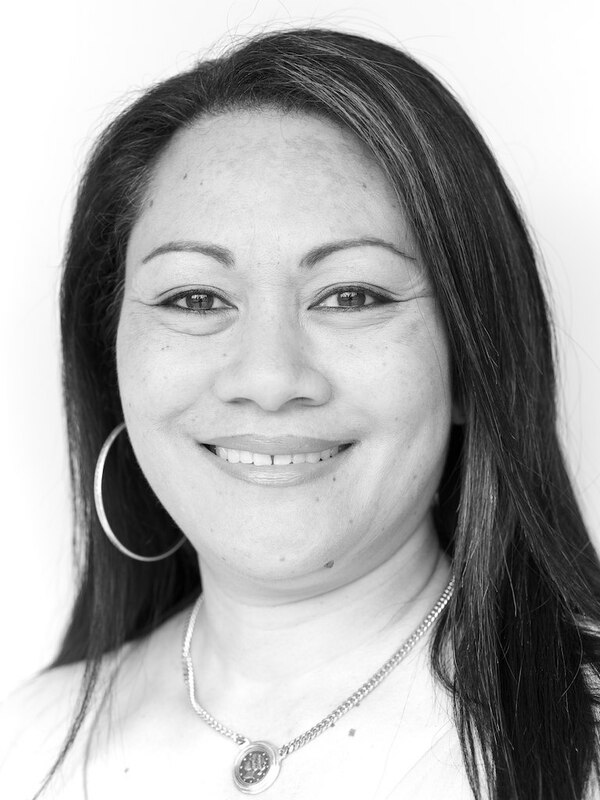 Tisi: I was born in Tonga, a little island in the Pacific Ocean. Tonga is an independent island that is made up of many islands. I grew up on the second biggest island called Vava’u, in a little village called Tu’anuku. We lived in a village that was very close to the bush and the water. We had a lake on one side and the ocean on the other. So my childhood was very beautiful, I just remember being very close to nature. The people were very spiritual. There was that sense of linking to our ancestors and to the land. People were very aware of nature. I am one of eight children; four girls and four boys and I’m number five. What I most remember was that I was always a free spirit. I remember climbing trees. As a little kid, when you’re up so high and you’re looking down on everything, you think it’s your world. Jess: What a wonderful way to grow up! Jess: Quite an analytical mind, then? Tisi: Yes, just looking at what’s behind things. In 1984 I married and came here to Australia. When I first arrived, for the first few years of my marriage, I was really questioning life. I was brought up in two religions. Jess: Which religions were they? Tisi: I was brought up in the Seventh-Day Adventist Church, which was Mum’s religion. But my grandparents on my Mum’s side were part of the Church of Tonga, under the umbrella of the Christian Church. My grandparents were missionaries, and my grandfather was the Church Minister. He went around the island spreading God’s word, and that’s how my Mum met my Dad. My Dad’s side of the family weren’t religious, they just believed in being one with nature. So there was an issue about that in the past, which I only know from stories. Then, when I was in Year Seven, my Mum converted to the Mormon Church and I was baptised a Mormon that year. Jess: That’s very mixed, then. Tisi: Yes, very mixed! Until I married, I was brought up in the Mormon Church. There are so, so many rules with that religion, as there are with the Seventh-Day Adventists. So I grew up thinking, “Which one is right?” as the ‘rules’ of both churches differ somewhat. Jess: I’m curious because you describe yourself as being a free spirit. How does a free spirit negotiate all of these imposed belief systems? Tisi: Not very well. I appeared on the outside to be conforming to what was expected, because I was dealing with my parents and they’re meant to know what’s best for you. And you’re also trying to deal with the authority of churches and “converted” friends. But inside I was always questioning the church’s rules and beliefs. I remember thinking at the time, “You just need to go with the flow.” But there was a huge argument among family and friends when I wanted to marry. They were really against me getting married because I was doing the wrong thing by marrying someone who is white, and they thought I was too young. My family believed I should be pursuing my studies at university. I would also be leaving the church because my husband-to-be wasn’t a Mormon. Some of my family wanted him to become baptised into the Mormon church and I said, “No, I’m not going to ask him to get up there and lie to all the people that he believes just so we can get married.” I wouldn’t let it happen that way. So we were married in the Tongan tradition and headed to Australia to live. Jess: So your husband is an Australian man? Tisi: He is. He was in Tonga on holidays. I was going to go to the university in America and follow the pathway of being a Mormon wife. But I followed what I felt was right for me at the time. I remember having a conversation with my Dad. I said to him, “I’m so sorry but this is what I want to do.” And he was fine with that, he gave me his blessing. Not long after I left Tonga, he went missing. To this day we still haven’t found him. For years afterwards I had dreams of seeing him, over and over, coming to me. I thought he might still be alive somewhere, I couldn’t accept that he could just disappear off the face of the earth. But I have finally put him to rest in my mind. Jess: That would be a really hard thing to come around to. Tisi: It was… And my husband didn’t seem to have any spiritual connection. He was brought up in the Anglican Church when he was little but he didn’t really believe in anything. I then started thinking, “Well maybe that’s right.” Other people seemed to be living their life without some sort of ritual or connection and they seem to be fine. So I felt like I went off the rails, I felt like I was a bit lost. I started living a life disconnected from the spirit. I felt like my spirit was experiencing life from a different perspective. During that time I really went against all religions, I became anti-religion. Jess: You rebelled against the kind of experience you had growing up? Tisi: Yes. I didn’t want to know anything about religion at all. I thought God was also religion so I didn’t want to know Him either. I just rejected God and anything to do with spirituality. Looking back, there was just a deep sense of loss and confusion. I should mention I have given birth to four children. Tisi: Three actually, two boys and a girl. I had a miscarriage and my first baby died after four and a half months. That was another dark time for my soul, really dark, and I lost contact with the outside world. I didn’t want to know anybody and I questioned, “Why and how did that happen?” Then I had three healthy kids after that. When I saw the beam of light I had this overwhelming feeling of oneness, it was the feeling I experienced when I was a kid. When my youngest son was born I spent his first Christmas in hospital. He was only three months old. I was taken to hospital by ambulance as I couldn’t move my leg. I was paralysed from my hip down to my foot. The doctors thought it might have been a blood clot. I remember waking up on Christmas morning and I looked out of the window in my hospital room and saw a tiny beam of light. I thought, “God, if you are there and you can hear me, I just want to surrender.” All that time I’d been trying to fix things. I was very anxious and thought, “What if something happens to me, what will happen to my kids?” When I saw the beam of light I had this overwhelming feeling of oneness, it was the feeling I experienced when I was a kid. Tisi: Yes, it returned. And I felt that everything was calm and that there was nothing to worry about, there was no more fear, there was nothing like that. I just thought that everything would be okay. On Boxing Day I was able to go home for a short time to be with my family. I walked around my home, as if nothing had happened to my leg. I had to return to the hospital in the evening to undergo further tests. Jess: So what did happen to your leg? Tisi: I don’t know, the doctors didn’t know. They all had different ideas, but nothing was proven. I really connected to that part of me that always felt okay throughout that experience. I then became curious about things. I thought maybe I should go back to the church. I went to the Anglican Church and reached out. I thought, “I’ll get my little boy christened.” When I went to organise the christening, the Minister asked, “Why do you want to have him christened?” And I said, “I have no idea.” It is like a family tradition, I guess. And that really stirred me up. I was thinking, “Why do I want it done?” I pursued it and thought, “I’ll do a little bit of reading into it.” I did have him christened but I was still restless. Part of me was wondering if I was still rebelling. Jess: Clearly there was a yearning but you couldn’t describe what it was? Jess: Oh, that would hurt. Tisi: It did hurt, and I just thought, “Wow, that is not what I thought he would say, how could he relate that to the Devil?” As far as I’m concerned it’s something good. I’d like to think that my Dad did come and welcome my sister home after years of being away from the village. To me it makes sense that my Dad would do something like that. So I spoke to the Minister’s wife and told her I didn’t want to come back to the church. Later on, the church was going to run a program called Alpha, which is like a ‘Christianity Explained’ course. I was told I would probably like the program because I’d be able to ask lots of questions. It was the first time they ran that course. I loved it and I asked questions. The course included a weekend away, which was to focus on receiving the Holy Spirit. My husband and I had lots of excuses for not being able to make it. But then I said, “I’m going.” I made up my mind and in the end he reluctantly came with me. A day was given for everyone to have the chance to receive the Holy Spirit. I didn’t really know what that meant. But I did the same thing as when I saw that beam of light at the hospital. I don’t know what other people said to themselves, but I said, “Lord, I don’t really know you, if you’re real or not, but here I am. If you’re real just show me what I need to know.” And, in a moment, it was like I had the whole world hugging me. For the first time I felt love that was endless. In that moment I just felt that love, and all of its fullness, was with me. Tisi: Yes, infinite love. It was so full in my body that I could hardly move. And each time I asked the question, “But…” I would get more of this energy hugging me. I literally felt that somebody had put their arms around me and hugged me. And the words I kept on hearing were, “I love you.” I had tears streaming down my face. “Could this be real? Could this be what it is?” I couldn’t move from that spot. The energy was so overwhelming that my body couldn’t take it. All I could see was the crucifix. For the first time I understood what the crucifix means. And in that moment I just felt that love, and all of its fullness, was with me. I have remembered that feeling from that day onwards. Jess: So that would have been quite a transformative experience. Tisi: It was huge. And from that day on I never saw things the same way again. I was starting to see people very differently. I saw everyone with love, including the people in the church that I once had no time for. There was no judgement, it was just love. It transformed my thinking. My mind was no longer seeing things in the same way. Jess: That’s just huge. How long did that experience last? For a few minutes, or longer? Tisi: It was a long time. People came and stood around me quietly, there were no words that could explain the feeling at the time. I was speechless. I was sitting there in awe. And I was crying. I never experienced love and its fullness like that. That’s all I could feel. Everything became one. After that I became really interested in running the Alpha course. Not so people could become religious or join the church, but so they could experience what love is. So I started running Alpha and continued to run it for a few years. I took people on weekends away. However, some people in the church didn’t support what I was doing. Jess: Why is that? Because you weren’t being strict about the religious aspects? Tisi: Yes, some of that. And because my thinking was that it’s boring just going to church and sitting there. I said there was a purpose in doing that but now we need to reach out to the people who are lost like I was and not Bible bash them. Just bring them to experience love. So I suggested things like doing dinners and other social things as well. But there was resistance. Every time I ran the course it was a full house with people from all walks of life. I was shocked when I realised that I was not fully supported by the church because I had a different expectation. I thought that every single person who went to the church had experienced what I had. Then I became curious about how important it is to have an environment that supports growth. So was I going to keep bashing my head against a brick wall or was I going to do something about it? Shortly after I was baptised as a Christian my husband was diagnosed with a rare form of cancer where people usually die within two years. The women in the church were praying for us, bringing food for the family, and providing all sorts of help. And I thought, “Wow, my husband is in the midst of all this and here is the hand of God bringing this love.” People were saying, “Tisi, aren’t you afraid?” People were crying for me. But, to be honest, I wasn’t worried. What I was worried about was that I wanted him to experience what I had. It wasn’t about losing him or his physical body, I was more interested in his soul not being lost. And I wanted him to know that. So we got through the cancer and everything is fine, he still lives today. That was in 2000. Jess: So did he find his soul? Tisi: I don’t really know! It took five years to be reassured that he was going to be fine. However, during that time, our relationship was in a downward spiral. Before he became ill, he was lost in himself, he was always unhappy and I was so busy with the kids and other activities, I didn’t realise that I had over-focused on his illness. All of my energy was focused on fixing him, making him well. In 2006 I became very unwell. I had this feeling of being cut off within. Jess: What were you sick with? Tisi: I was diagnosed with clinical depression. The doctor said I would be on pills until the kids were older. One part of me was relieved to think, “Well, good, now I know what is wrong with me.” I felt so tired, like there was a cloud over my head all the time. I became so unwell that I couldn’t get out of bed so I slept a lot. I went within and I did what I call the ‘deep work’. I was really searching for that self that I had lost. Jess: What kind of work did you do? Tisi: I literally slept and slept but part of me was thinking, “I wonder if the same God with all the love that was around before is still here and can he see that I’m unwell?” Even when I couldn’t put anything into words there was a part of me that knew it was going to be okay. It was a very dark time. I was cut off even from my children. I really didn’t want to be in this state, but physically I was falling apart, and mentally I was totally exhausted and worn out. Jess: It was quite blinkered and myopic? Tisi: Yes, I didn’t feel, I didn’t hear, all of my senses were cut down. So I slept for days. I had 12 months off work. Barb, my sister-in-law, helped look after me because the kids were young and my husband was at work. Then one morning when I woke up with this deep knowing that everything was going to be okay. It was like I had been awakened to the fullness of my being. It turned within. I had this revelation. It’s like my state altered and I was taken to a place where all I could see was a beautiful beach. The water was so calm and crystal clear, and the sand was still untouched. Jess: You had a realisation and you genuinely felt it within all of your being? Tisi: Exactly. A boom of energy had energised all of my being, there was nothing damaged in the picture, everything was there. I felt calm, at peace, and clear in my head. I slowly weaned myself off the medication. I then committed to learning about what had happened to me and why. I searched for information extensively and I found Neuro Linguistic Programming (NLP) through a nurse who had studied NLP. I completed all levels of NLP with Pip McKay, CEO of Evolve Now: Mind Institute in Sydney. NLP was created by a mathematician and a linguist, John Grinder and Richard Bandler, in 1970. They were curious about how the mind and emotions work and the relationship between the two. Jess: Do you use NLP on yourself? Was that part of your process in discovering why you were unwell? Tisi: Yes. As I was studying what they were teaching, I was applying it to my own experience and sickness. I realised how the unconscious part of the mind forms these beliefs, and I learned about the underlying things about myself that had been embedded for a long time. So I started clearing all the “old” stuff and releasing it and also understanding why my energy had been so affected. Then I was curious about that part of me that always assured me that I was well. That curiosity led me to meet Dr Jean Houston in America. She is an amazing woman who has helped shed some light on how I had been thinking about many things. Another person who has been a big influence for me is Dr David Hawkins who has written many books, including Power Versus Force. Jess: Can you tell me a little about them? Tisi: Well, Jean is many things. She is an historian, a philosopher, a scholar, a teacher, a visionary leader and an author. She is also Chancellor of the Meridian University in San Francisco and has developed a school called the Mystery School and Social Artistry. She doesn’t like to be a famously known person, yet she is appreciated by many for her amazing knowledge and huge contribution to discovering and evoking human capacity and potential. Tisi: Yes, but she is a people mover. She makes changes in big ways. She works with governments of many countries and helped Hillary Clinton write It Takes a Village to Raise a Child. She has been interviewed by Oprah, has met Mother Teresa and many other well-known people throughout the world. She’s not only learned through books but she has lived with people in many countries, rich and poor, to gain a real sense of the capacity of humans. She helps people move into what she calls the parallel world to understand our soul. Jess: What kind of course are you taking? Tisi: Jean offers many courses. I did one online called “Awakening to Your Life’s Purpose”. And, in June 2013, I attended a weekend workshop in San Francisco where she used one of the books she has written, The Wizard of Us. It’s her take on the story of the Wizard of Oz. She looks at our understandings of archetypes to understand how it fits into society. That understanding really helped me understand my little self, and how it fits into the bigger society picture. It’s not just airy-fairy talk about love; she has the scientific research to back it up. I also did her seven-day salon in October 2013 in Ashland, Oregon. On one of the days she was talking about the illumination stage, where you see the light. We did an exercise that took us into the world of our own university, and I had a really a vivid experience. I went into a room and I saw a library of books that contained everything that I ever want to read, and more. And on the other side were people who were there to answer any questions I had. Then I was in a building and, as I was coming out, there was just openness, it was everything. And then I heard a voice asking me to put out my hand. I literally saw a ball of white light drop into my hand. The light ascended and all I could see was infinite light that had no beginning and no end. I was taken up into the light and I couldn’t see myself any more. Jess: You must have merged with it. Tisi: Yes, I saw myself merge into this light and I became it, and I was trying to say, “Where am I?” And all I could hear was, “You are in me and I am in you.” And that was it. There was no beginning, there was no end and I was in there. When we finished the exercise, I said to Jean, “I can’t move.” She said, “You’ve experienced what we’re about to do this afternoon. So now just rest.” And my whole physical body went to sleep for hours. Jess: And what was that, exactly? Tisi: Very powerful. My physical body could not take the energy. I slept, yet I knew what was going on in the room. I saw everybody as one. Everything was complete. Every single person in the room was radiating with this light, and they were all beautiful. It was like I was in love with everybody. It was that sense of you are not a woman, you are not a man. I was just radiating in this beautiful light. I couldn’t talk, I had no words to describe it. Later, when I returned home, I read David Hawkins’ book The Eye of the I. He wrote about his own experience, just like the one I had, which helped me make sense of it. He is a psychiatrist and the director of the Institute for Advanced Theoretical and Spiritual Research. He has been knighted and honoured in the East with the title of “Foremost Teacher of the Way to Enlightenment”. Jess: It seems like you’ve had maybe four or five of these kinds of experiences. Tisi: Yes. And I had another one when I went back to my island in 2011 for the first time in 27 years. You can imagine going back to the island and Dad’s not there anymore and I was not going to see his physical body. But I knew that I was going to sense his spirit. I went with Pip McKay. She became my courage and we did clearings about things to do with my Dad, she had experienced what I had and knew what I wanted. In my mind I was going to go to the village and do a ‘ceremony’ for my Dad on 7 July. Jess: What was the significance of 7 July? I made peace with the land, with heaven, with earth, with everything. Tisi: My Dad’s birthday was in July and the number seven is a completion number for me. It was all about completion. I just wanted to go to the beach where he took his last walk before he went missing. I saw Dad as I walked into the house where I grew up. Again I had the feeling of spirit merging and feeling so overwhelmed that he was there to welcome me home. I was crying with joy. I now accept that he will no longer be here in the physical body, but his spirit is here. I wanted to honour him. So I took Pip and my nephew’s children and went to the beach. I said to the kids, “Let’s just collect whatever we can.” They found flowers and stones. I had already been to my family’s graveyard and picked up a little piece of bamboo from the graveyard’s garden. Symbolically I thought that this is going to be like me letting go of his body and releasing his spirit. We then laid some flowers in the water. Everyone just stood in one line along the beach and the water was up to our ankles. I said my speech. I felt like I was speaking for all of us who were feeling the pain. But I wasn’t only speaking to my Dad, I was speaking to all of those who have gone. And I had that feeling again. It was an elevated feeling, I felt like someone had taken me from the beach and put me on top of the water and that I could just walk out to the ocean. It was that feeling of goodness and that everything was one again. I made peace with the land, with heaven, with earth, with everything. I knew that the others were standing there, but I felt again this aura of oneness in all of creation. Jess: So how does that work on a day-to-day basis? For example do you feel that sense of oneness right now? Tisi: Yes, there was one thing that I didn’t really quite understand. It was, “How can I come back to a different reality and live a normal life?” I put that to Jean. It’s almost like there is a part of me that would rather be in that place. Jess: Well, it sounds very blissful. Jess: So what are you doing with it? You’ve developed Embracing Women’s Potential, for example. Tisi: I’m developing a program to teach people exactly that: you are more than just your body and your mind. I thought that religion was the way to find the light, to become spiritual and to connect to the One. And in my experience it hasn’t been the case. What I’m trying to do is to teach people, not to become anti-religion or anti-church, but to know that what they hunger for can be found within. But what is missing in the teaching is how. When you go to church, people show you what, so you become overwhelmed with knowledge and it just sits there. It makes you hunger for more. Jess: So what is the “how” that you’re sharing with others? When I am present with a client I help them to activate who they are. Tisi: That’s the program! That is what I’ve been given and it’s what I think people can use. At one time when I was seeing clients I was doing everything with a script, and I thought nothing is happening. And then of course nothing is going to happen. Because I am just the channel for people to open up their own light. When I am present with a client I help them to activate who they are. And that is the gift, because not everyone can do that. A lot of the time I’m not prepared, it’s intuitive. I download stuff that is appropriate to that person, because I now know that I have that deep connection with the One. The One also has a desire for that person to come into the light. I’m working in partnership, I’m not doing it on my own. It’s not about all these boring scripts that will cause the person to nod off. Jess: So what brings people to you? Do they see you because they’re having troubles or an emotional block or ongoing issues that don’t seem to change? People get lost when really their home is already there. And when you return home, other things outside of you will fit into how you want them to be. Tisi: Often they will have a relationship issue. And often I know that what is falling apart is their relationship with themselves. So I don’t sit there and talk about what’s not working in their relationship, I work with the person to take them to what is possible, which is knowing their potential. Not what is already wrong. My work helps to return them home. And their home is within. People get lost when really their home is already there. And when you return home, all other things outside of you will also fit into how you want them to be. Jess: How do people get to their home, their soul? Tisi: First of all you’ve got to want to. You need to know that you might not be answering the call. And then in answering the call you’ve got to ask yourself, “What does it mean for me to be answering my soul’s call?” And then it’s important to really get to know the language of the soul. What messages does the soul give you? Everyone is different. But it can be very similar, in the end. You’ve also got to know how to welcome the soul through a ritual. For us to keep that connection alive you’ve got to have some way of doing so. Some people might like to say a prayer every day or meditate. But a person needs to know how to get there. Jess: How do you stay close to your home, your soul? Tisi: I choose to make it my way of life, I just operate from there. I just welcome it every day. I say I am at home with my soul. So when I see things happening outside I talk to my soul and I ask, “What would you do here?” So I don’t react to a situation or just run off. I do have quiet time to myself, mainly in the morning. I get up and I have a spot in the house where I spend a few minutes to read a Bible verse. Then I will say a prayer. But when I say a prayer I don’t just pray from my own needs, most of the time I give thanks. That’s the other thing that the soul loves – gratitude. And I like to give thanks because there’s more to embrace, rather than focusing on the lack. So I say a lot of gratitude prayers, even for what is not working, I give thanks to it for whatever lesson it brings. I very humbly accept everything and say thank you. Jess: That’s all very beautiful. Thanks very much, Tisi.